Where are we now? Indeed. Where are we? 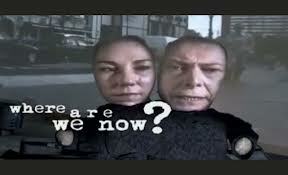 For anyone like me who’s grown up with David Bowie, it is an apt question. There were so many hopes when Ziggie first learned to play guitar and when we all thought we could make those Changes that the great man sang about. Well, time has moved on for all of us and it was with some trepidation that I brought myself to listen to his new single, Where Are We Now? his first in ten years, released on the eve of his 66th birthday. It is no surprize that the video (see below) is every bit as stylish and unsettling as you would expect from this man who was always as much an artist as a singer. 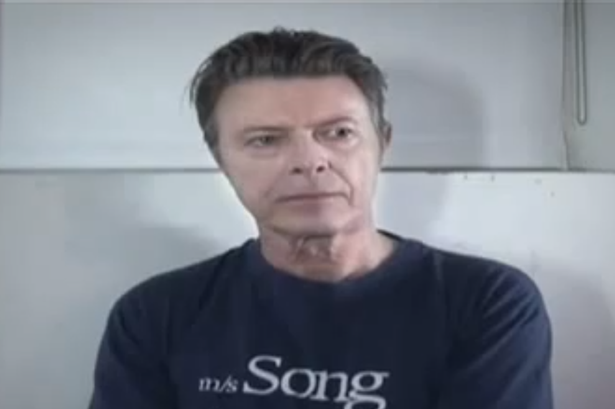 It is a deeply melancholy song sung in an age-battered voice but still recognisably Bowie. He is back in those Berlin streets that once sent an exciting but dangerous melancholy over his songs from the Heroes period (1977). After that time I stopped expecting much from one of my all-time rock ‘n roll heroes. He had more than done his bit to help us all on our way. Well, he hasn’t forgotten 1977 either and the new song is redolent of that time and filled with the kind of regrets that mellow into something almost enjoyable. After all, if you don’t get old, you die and, at 66, Mr Bowie ain’t that bad. There’s new life in the man or is it just the same life marvellously preserved with the same world-vision that some of us still recognise from those glory days. I can’t wait ’til the whole album is released. 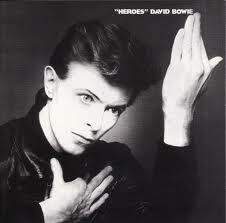 Tags: Berlin, David Bowie, Heroes, Where Are We Now? Wow! Thanks for this! I preordered the "record" but hadn't gotten to see the video, although I had read all about it. He still is inspirational, isn't he, and what a face! And leave it to him to realise that the words needed to float across the screen as well. So important, that. We're in agreement again Sue! Inspirational indeed. I agree about the floating words too. I love that mixture of image and words. I've been enjoying a telecast of Philip Glass' Gandhi opera Satyagraha from the Met and the production (wonderful) makes great use of imaginative ways of floating key words around the stage. That's been inspirational too.